This book retells the story of Elijah, how he was fed by the ravens and how he assisted a widow with God's help (1 Kings 17:1-16). The series tells popular Bible stories through fun-to-read rhymes and bright illustrations. This well-loved series captures the attention of children, telling scripturally sound stories that are enjoyable and easy to remember. Elijah Helps A Widow by Nanette Thoreson-Snipes is published by Concordia and is our 12966th best seller. The ISBN for Elijah Helps A Widow is 9780570075745. 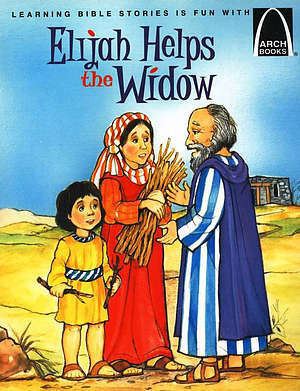 Be the first to review Elijah Helps A Widow! Got a question? No problem! Just click here to ask us about Elijah Helps A Widow.